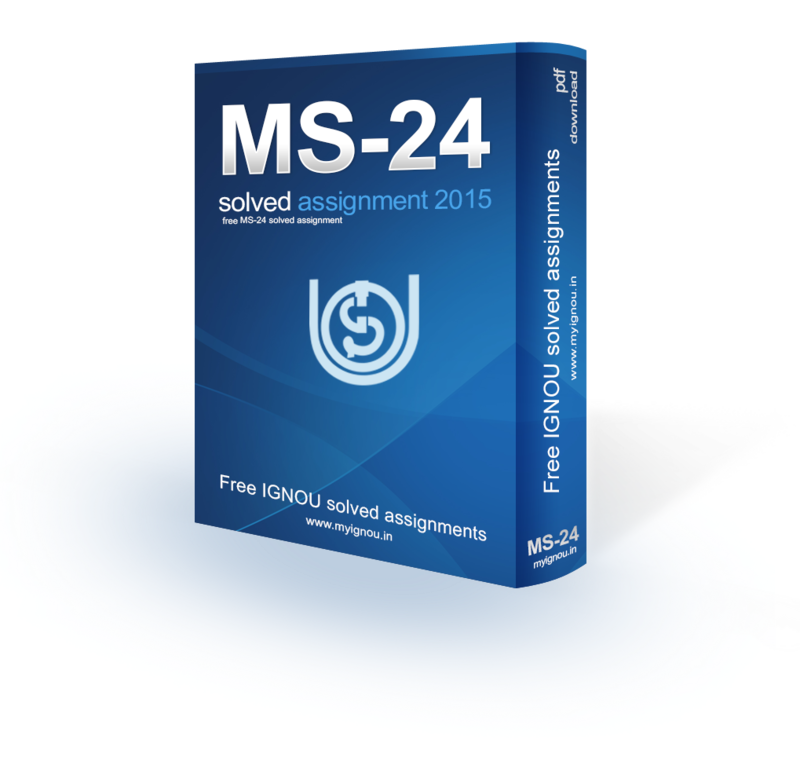 Welcome to IGNOU MS-24 Solved Assignment 2015 download section of myignou.in. Here you will be able to download IGNOU MS-24 (Employment Relations) Solved Assignment for (January - June) 2015 session for free exclusively on this website. To get other solved assignments like our facebook page. 1. Describe the factors responsible for the evolution of Indian Labour policy. Discuss the recent developments in the field of industrial relations in India. Ans. : Discussion of Indian labour law and industrial relations is often divided into discrete time periods, reflecting important stages in the evolution of the Indian state as well as stages of economic development and policy. Labour policy in lndia has been evolving in response to the specific needs of the situation in relation to industry and the working class and has to suit the requirements of a planned economy. A body of principles and practices has grown up as a product of joint consultation in which representatives of Government, the working class and employers have been participating at various levels. The legislation and other measures adopted by Government in this field represent the consensus of opinion of the parties vitally concerned and thus acquire the strength and character of a national policy, operating on a voluntary basis. Joint committees have been set up to assist in the formulation of policies as well as their implementation. At the apex of this tripartite machinery is the Indian Labour Conference. The structure of industrial relations has been designed for the purpose of securing peace in industry and a fair deal for the wolkers. When the efforts of the parties fail to secure an amicable settlement of industrial disputes, the Government has assumed powers of intervention. Provision has been made for conciliation of disputes and for enabling the State to refer unresolved differences to tribunals set up for the purpose. Stoppages of work after such a reference and any contravention of awards and agreements have been made illegal. This system has helped to check the growth of industrial unrest and has brought for the working class a measure of advance and a sense of security which could not otherwise have been achieved. At the same time, the spirit of litigation grew and delays attendant on legal processes gave rise to widespread dissatisfaction. In the course of the Second Five Year Plan a new approach was, therefore, introduced to counteract the unhealthy trends and gave a more positive orientation to industrial relations, based on moral rather than legal sanctions. The stress now is on prevention of unrest by timely action at the appropriate stages and giving adequate attention to root causes. This involves a basic change in the attitudes and outlook off the parties and the new set of readjustments in their mutual relations. Share "IGNOU MS-24 Solved Assignment 2015"
Share this page (IGNOU MS-24 Solved Assignment 2015) to let others know about it!